1. – Beat the heat – Let’s face it people want to spend the summers outdoors and with temperatures reaching over 100 degrees it’s vital to provide ample shade if you plan on having an outdoor event. 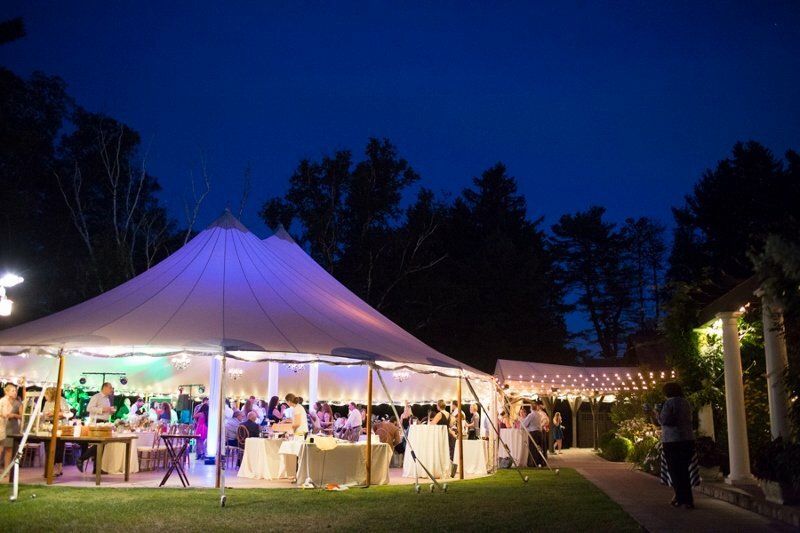 Tents are a great way to provide coverage for your guests. With tent’s you can also add a/c units to keep them at a comfortable temperature. Using clear walls is a fantastic way to ensure that those inside the tent still get to enjoy all the action happening around them while staying cool. 2. – Scheduling – Try to plan events accordingly during the summertime. Having events later in the evening or even at night will help your guests stay cool which in turn will keep them at your event for a longer period. 3. – Encourage casual attire – With a few exceptions, such as weddings, having an event outdoors and expecting people to wear suits or tuxedos just isn’t nice! Encourage your guests to have a more relaxed casual attire so they aren’t sweating the entire time they are at your event. 4. – Choose an appropriate menu – Having the right food that won’t spoil due to heat is essential to a successful outdoor event. Make sure to stay away from cream based foods and stick with veggies, fruit and seafood. Keep the food light and healthy as most people during summer events are keeping an eye on those beach bodies! 5. – Have a back-up plan – With summer heat comes sudden rainstorms and it can be hard to predict the weather for your outdoor event. Make sure you know what the cost would be to have a tent put up on the fly. Even with a tent rain can still cause people to not come to your event as the ground can become flooded and or muddy. It’s always good to have an indoor back up plan to ensure your guests still have an enjoyable experience. 6. – Interaction is key – Providing interactive activities for your guests will keep them entertained throughout the event. Knowing your audience is important when selecting the activities to have available to them. If it’s family friendly having face painters or balloon artists are always a hit with the kids. For more adult events having oversized games such as; Jenga, connect four and pong are fun outdoor games that everyone can get involved in. 7. – Festive Drinks – An outdoor summer party is not complete without themed drinks. It’s always fun to serve frozen drinks during an outdoor event to keep everyone cool. You can rent commercial frozen drink machines which will come with pre-made mixes. For those wanting adult beverages you can of course add alcohol to the mix. Design your drinks based off the theme of your event. 8. – Be responsible – With any party involving alcohol make sure you provide a way for your guests to be responsible. As the host, you could be held liable in a lawsuit should someone overindulge. An easy way to help avoid this is to find out from the venue if they will allow you to leave cars overnight so that your guests can Uber or taxi home. If your venue is a god distance from a central location that most of the guests live you could provide a private coach transfer. If your event is at your home consider allowing guests to stay the night. While no one ever wants to be that person that gets too intoxicated and has to spend the night somewhere, it does happen and your guests will thank you in the morning.